Randal W. Beard received a bachelor’s degree in electrical engineering from the University of Utah in 1991. He then attended Rensselaer Polytechnic Institute in New York, where he received one master’s degree in electrical engineering, another in mathematics, and a doctorate degree in electrical engineering. Randal Beard has spent his professional career at Brigham Young University as a professor in the Electrical and Computer Engineering Department. Dr. Beard has also had the opportunity to be involved in research at other institutions. In 1997 and 1998, he was a Summer Faculty Fellow at the Jet Propulsion Laboratory of the California Institute of Technology; in 2006 and 2007, he was a research associate at the Air Force Research Laboratory of the Munitions Directorate in Florida. Dr. Beard’s research focuses on robotics and autonomous systems, with an emphasis on unmanned air systems, multiple vehicle coordination, and nonlinear control. He has participated in the writing of three books and has published well over 200 peer-reviewed articles on his research findings. He is a past associate editor for the IEEE Control Systems Magazine, the Journal of Intelligent and Robotic Systems, and IEEE Transactions on Automatic Control. Dr. Beard has received many awards throughout his career, including the Technology Transfer Award in 2006 and the Karl G. Maeser Distinguished Faculty Lecturer Award in 2017. He has received funding from AFOSR, AFRL, NSF, DARPA, and NASA, and he is one of the principle designers of the Kestrel autopilot system sold by Procerus Technologies, which is available for commercial use. 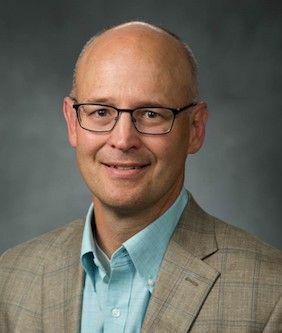 A popular teacher, Dr. Randal Beard was twice voted “Outstanding Teacher” by graduating seniors in BYU’s electrical and computer engineering department. He has advised and mentored many students in award-winning research and teaches courses on feedback control, signal processing, robotics, and computer vision. He has four daughters and is a proud father and grandfather.